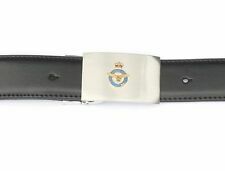 RAF Belt, British, Blue, 3cm Wide. 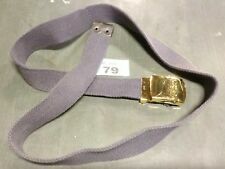 108cm Waist Or Less #78. New. 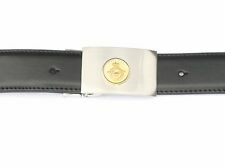 Would alter to fit a smaller waist as buckle can be moved along belt, as well as belt being fully adjustable anyway. 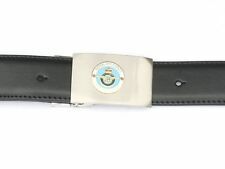 Unused, as buckle still has protective plastic film on it. Up to 108 cm waist max. 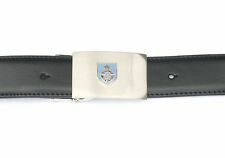 For a fabric belt for an RAF military tunic.